We understand the challenges associated with this skin picking syndrome and the courage it takes to seek help. At The April Center For Anxiety Attack Management - Los Angeles, we specialize in Dermatillomania treatment and offer an individual therapy program focused on providing only scientifically-proven strategies designed to make dramatic progress. 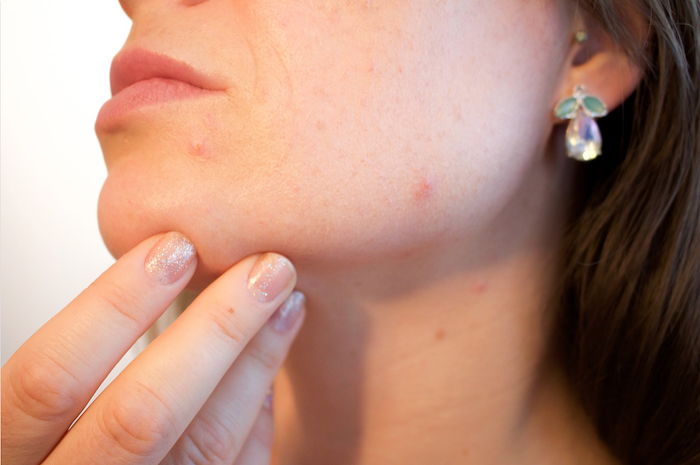 There is no need to suffer with symptoms of chronic and compulsive skin picking. This condition is treatable! Dermatillomania is both a compulsive and chronic skin picking problem, meaning that one has a difficulty stopping themselves from picking their skin. It is a repetitive pattern that occurs over a long period of time, often with a focus on removing some skin imperfection as one sees it. Dermatillomania is classified as a body focused repetitive behavior (BFRB), which is diagnosed as an OCD related disorder. Sometimes, OCD symptoms can coincide with this syndrome. It used to be called an impulse control disorder. The outbreak of Dermatillomania often, though not always, begins in adolescence with acne or other skin ailments. Although grooming and an overfocus on one's appearance is natural at this stage of development, those with Dermatillomania tend to be hyperfocused to an unhealthy degree. Their grooming habits, when it comes to their skin, tend to be extreme. Dermatillomania also often coincides with stressful life events and, though destructive, can become a habitual way of coping. What Are The Symptoms of Dermatillomania? Repetitive, frequent and intense skin picking that tends to create skin lesions. Skin picking behaviors often include: digging, popping, scratching, touching, squeezing and picking at skin with the goal of fixing what one sees as a flaw. However, some engage in this behavior to correct what they see on their skin as problematic, wrong or unwelcome. And others just engage in skin picking patterns of behavior as a compulsion alone. Frequent attempts to stop or resist the urge to pick at skin, though unable to curtail the behavior over time. Stress, tension or anxiety often preceding the skin picking session, though the individual isn't often aware they feel stressed or anxious before doing so. Scars, discoloration, tissue damage and skin trauma like scabs, sores, scrapes, wounds and cuts on the skin, face and fingers. Stress, embarrassment and pain often follow. Avoidance of relationships, social activities and life events due to embarassment. Sometimes social anxiety accompanies these symptoms. Tendency to feel as if caught in a trance while engaging in skin picking behavior, often resulting in the loss of a lot of time. This lost time can interfere with the completion of work assignments, errands, life tasks and more. Some feel skin picking is pleasurable at the time. Others describe experiences where focusing on skin picking is relaxing and stress relieving. And yet some find the act of compulsive skin picking exciting or to be a cure for boredom and anxiety in the moment. Learn how to stop skin picking now and get your life back! The face - most often picking at pimples, blotches and other perceived abnormalities. Scabs - Often picking at scabs until they're bleeding. Sometimes this creates a larger and deeper scar. When to Seek Treatment for Skin Picking. How Much is Too much? - It bothers you that you pick your skin and that you can't seem to stop. - It causes you physical pain. - You realize it's causing your skin damage, rather than improving it. - You feel embarrassed and fear people will notice and comment on your skin. - You feel it's difficult for you to mange stress in a healthy manner. - You frequently feel anxious. - You experience OCD symptoms. - You're too focused on your apperance and care too much about what others think. - You have social anxiety. - You hide skin damage caused by your skin picking under clothing or makeup. - You have scars from picking. - You avoid certain environments where clothing that shows more skin is expected, such as the beach and the gym. - It causes you emotional upset. Habit Reversal Training: This is a specific technique using movement and breathing that has proven to stop the skin picking urge and behavior in its tracks, if turned to as a practice. Behavior Modification: We help modify skin picking rituals and destructive behavior patterns that have become habitual. It can often be helpful to look at Dermatillomania as an addiction or a bad habit. There are both conscious and unconscious behaviors that skin pickers engage in frequently that have solidified over time. These need to be changed to learn new ways of coping while stopping the skin picking habit cycle. One behavior modification strategy we assign is the use of habit blockers. These are methods designed to block the habit of skin picking by adopting more constructive behaviors associated with one's hands - especially associated with typical picking times and locations. Cognitive Therapy: How those with Dermatillomania handle stress and life's challenges has a lot to do with their perspective and beliefs that guide their behavior. It's vital to modify beliefs and perspectives that contribute to poor stress management and anxiety, in order to disrupt and correct the poor coping strategy of skin picking. Learn how to overcome skin picking now to feel confident and in control again!